British supercar manufacturer, McLaren, which is currently on track to move into a 75,000 sq ft facility on the Advanced Manufacturing Park (AMP) in Rotherham, has recorded another record year of growth, selling a total of 3,340 cars in 2017. To support an increase in customer demand and new model launches, a second shift was introduced in 2016 at the McLaren Production Centre (MPC) in Woking, Surrey, where each car is hand-assembled before being delivered through over 80 retailers in 30 markets around the world. The MPC is now building up to 20 cars a day. 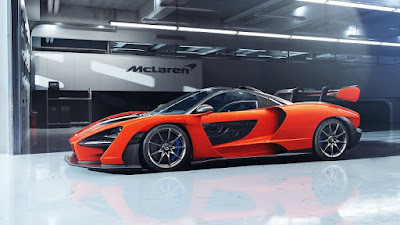 Supporting the firm's objective of producing more than 4,500 vehicles annually by the end of 2022, the £50m McLaren Composites Technology Centre (MCTC) in Rotherham was announced in February 2017. It will enable the development and manufacture of the Monocell and Monocage carbon fibre chassis used in future McLaren models. The centre is set to create more than 200 jobs and will comprise approximately 150 production staff and 50 manufacturing support staff. 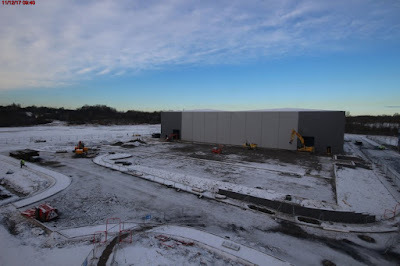 Currently being constructed by J F Finnegan, the centre is expected to be officially opened in late 2018 to start building carbon fibre development tubs, with full operation planned for 2019. A planning application for new signage on the building to face to busy Sheffield Parkway has recently been submitted. McLaren is investing some £1billion over six years in R&D. It is working with the University of Sheffield on a two-year research and development programme. The first pre-production chassis, built using trial manufacturing processes in the nearby University of Sheffield Advanced Manufacturing Research Centre (AMRC) with Boeing, is expected to be delivered to the McLaren Technology Centre in the second half of 2017. Backed by a grant of up to £12m via the Sheffield city region (SCR), the investment is set to have a £100m of GVA (gross value added) benefit to the local economy by 2028. Mike Flewitt, chief executive officer of McLaren Automotive, said: "Demand has been strong for McLaren Automotive across our product families in 2017, with interest particularly robust in our biggest market, North America. The majority of sales came from the Sports Series family, our brand entry point that is achieving significant interest and attracting new customers. With a strong order bank stretching well into this summer, it is expected that close to half of 2018 sales will derive from the Super Series. Meanwhile, the Ultimate Series continues to surpass our expectations with a completely full order book for both the newly unveiled McLaren Senna and another future model codenamed BP23. "We are continuing to invest heavily in research and development - £1billion over six years - as part of our ambitious Track22 business plan that sets out and supports our growth. Long-term, the plan will see us launching 15 new cars and/or derivatives up to 2022, with three revealed to date. "2018 will also see the continued development of the company with the planned opening of a second production facility in Yorkshire. When fully operational in 2019, we will innovate and manufacture the carbon fibre "tubs" at the heart of all of our cars. Carbon fibre is a core part of our brand's DNA – McLaren being the first to introduce the material into Formula 1 - but it is also crucial to vehicle performance given its lightweight nature. Making cars lighter as well as the increasing use of hybrid powertrains are the future of vehicle design which we are well positioned for." McLaren Automotive and the McLaren Technology Group are being brought together under one corporate structure to be called the McLaren Group. The Group is valued at £2.4 billion and now employs more than 3,400 people.